It was 3 years ago today that the first meeting of our “performance footprint” network group took place at Fountains Abbey and Studley Royal. 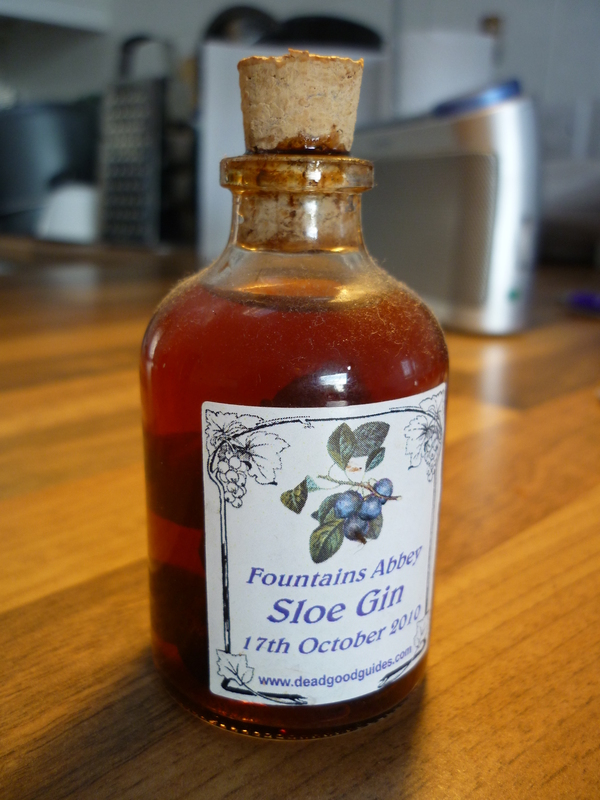 As part of the proceedings, Sue Gill of Dead Good Guides (formerly of Welfare State International) plucked a collection of sloes from hedgerows around the World Heritage Site estate, and encouraged all present to use them to make our own small bottles of sloe gin… And I still have mine. Here it is, photographed today. I recall that the process of making these bottles (wedging sloes into the small bottle necks, pouring in gin) was accompanied by music and much general merriment. I also remember feeling vaguely worried – as organiser of this event – that our funders, the Arts and Humanities Research Council, might not deem this an appropriately scholarly use of our time. This was an understandable anxiety, perhaps, but looking back it was also completely misplaced: much of the success of the network (if success it was, let’s not be too self-congratulatory) was built on a sense of camaraderie and openness that relied precisely on moments like this. There’s an ecology in this, of course – the connectivity of the social and physical alongside (and as vital stimulants to) the intellectual and artistic. 3 years on, that first meeting seems a long time ago. We met subsequently at Cove Park in Scotland, at Kings College in London, and some of us then also convened for an additional meeting in Bristol… The last paved the way for Multi-Story Water (officially “Before the Flood”), the year-long follow-on project in collaboration with members of another AHRC Researching Environmental Change network, which developed site-specific performance work in collaboration with community members in flood-threatened areas of Bristol and Bradford. That ran in 2012 (during which we also published an edition of Performance Research arising from the network proceedings), and in 2013 we got a bit of additional funding to do further Multi-Story follow-up activities, which we’re still in the process of reporting on. OK, so I was a bit apprehensive about this… thought I might poison myself with rotten fruit. But I am delighted to report that, just as Sue said it would, this concoction has certainly improved with age! 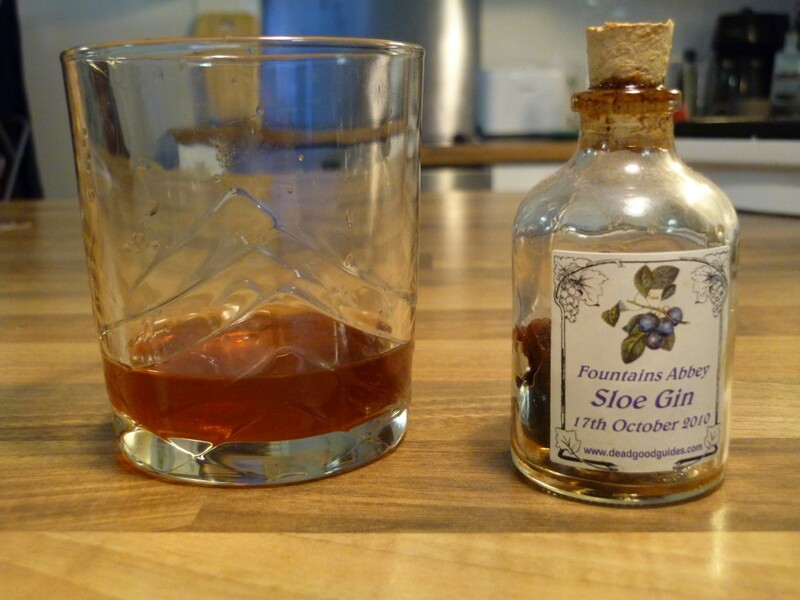 … Some people drank theirs pretty much straight away, and it tasted like neat gin with a hint of fruit. Three years on, though, it’s rich and full and fruity and really rather gorgeous. This entry was posted in Fountains Abbey. Bookmark the permalink.